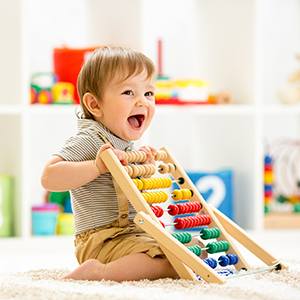 At Little Zebra we believe that play is the business of early childhood. Little Zebra provides a play based curriculum where your child can gain a sense of self, explore, play with their peers, and build confidence. Our programs, designed and implemented by our qualified educators, are intended to nurture the creativity of your child and equip each of them for life’s adventures. Our Nursery classrooms have a sense of warmth and security. The younger children and babies need to form trusting relationships during the early years, and our educators encourage this through one on one interactions, showing genuine affection, understanding and respect for each child, acknowledging and responding to the child’s cues and attending to their daily routines that they experience at home. Routine times such as nappy changing, meal times, rest/sleep times and bottle times are the perfect opportunity to build trusting relationships with each individual child. The educators modify their own language and communication techniques to meet each child’s level of understanding. The use of hand gestures and body language also helps babies and young children to find the link with identifying objects and sounds. In our Nursery classroom we begin to introduce many attractively illustrated books in a range of textural materials and the educators sit with children to explore these books, toys and other objects together. We challenge the physical abilities of each child and provide appropriate resources and equipment for each child’s stage of development. Our educators stimulate children’s aesthetic awareness by preparing appealing indoor and outdoor settings. The environment created for the children captures their sense of wonder, creativity and curiosity. Our educators support children’s attempts to anticipate, explore and understand this environment. Our educators provide a variety of creative experiences and materials that encourage children’s self- expression and exploration. Our educators sing with the children and emphasise rhythms, sounds and melodies. Our educators support children’s attempts to meet physical challenges and develop their motor activity. Our educators find opportunities to encourage children’s independence and self-help skills. 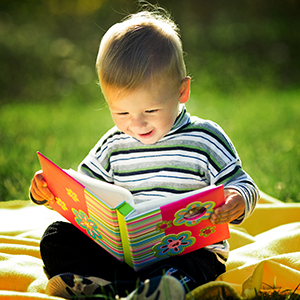 Reading to children is an integral part of the program and will help to encourage active listening skills. When a child comes to understand and use words for new concepts, our educators use the words in ways that will affirm meanings for the child. Children are encouraged to use a range of construction materials to expand their problem solving skills. Music is featured as part of the program and children are encouraged to experiments with objects to make music. Opportunities to make choices and participate in play are integrated and evaluated with other areas of the program. Children’s feelings are discussed along with the right of individuals to have their thoughts and ideas heard and respected. Our educators empower children to use their language abilities to share issues, ideas and experiences that are important to them. 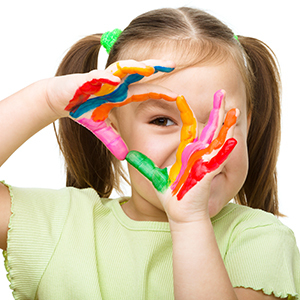 The program encourages children to participate in a variety of expressive arts. Children experience creativity through books, drama, storytelling and puppets. Our educators encourage children to acquire new skills in solving problems. 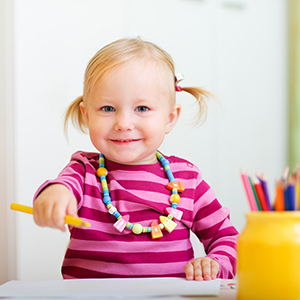 Children are encouraged to access and use a wide variety of writing and reading materials in meaningful ways. Our educators challenge children to use their language in interesting ways, like contributing their ideas cooperatively to a story or song. Mathematical problem solving experiences are integrated with other areas of the program. Our educators encourage children to work together on projects, and provide children with experiences to help make predictions and construct concepts.